Eminem, the latest in a series of rappers who retire then un-retire, has decided to make a comeback. I guess he got bored not being in the limelight, so he’s back in the studio. You can tell he was bored since he prank called LL Cool J on the radio a little while ago. I’m not a big fan of his work, but I can respect the fact he wants to get back into the game. The one thing I’ll give him is that he tends to have fun with what he’s doing, and somehow people still respect him. 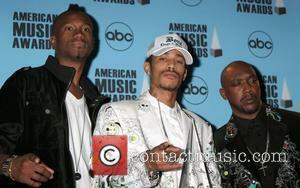 Not to be outdone, Bone-Thugs-N-Harmony have reunited as well. The group made up with that rapscallion Bizzy Bone. Bizzy Bone got the boot from the band because he had a serious drug problem (among other issues). Once Flesh gets out of prison (he was in jail for threatening someone with an AK-47), they’ll get back to work. Hmm, this kind of troubles me. I’m not going to lie, I seriously love Crossroads. That song owned my middle school life, but there’s something I find problematic about a quasi-violent criminal walking out of jail into a multi-million dollar recording setup. I know it happens all the time in hip hop, but it’s truly not the message we want to be sending. Posted on June 18 by Twice. This entry was posted in Music and tagged bizzy bone, bone-thugs-n-harmony, comeback, crossroads, eminem. Bookmark the permalink.